Hanoi (VNA) – Vietnam will complete the five-year target of the National Target Programme on New-Style Rural Area Building by the end of the second quarter of 2019, with at least half of all communes completing all criteria of the programme. 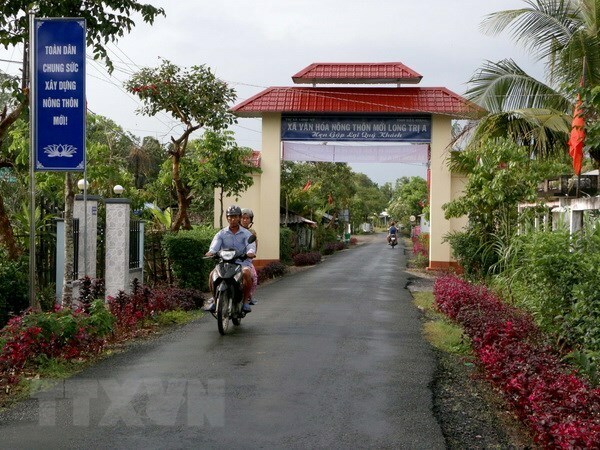 According to Nguyen Minh Tien, head of the central coordination office for the programme, currently, 46.48 percent of the communes, or 4,144 communes, have been recognised as new-style rural areas. In addition, 61 districts have won the title. All communes in three localities – Dong Nai, Nam Dinh provinces and Da Nang city – have fulfilled all criteria of the programme, which was launched nearly 10 years ago. Notably, the southern province of Dong Nai is a leading locality in the implementation of the programme as well as in advanced new-style rural area building movement, which has higher requirements. Currently, the province has had 26 out of 133 communes fulfilling all advanced criteria for a new-style rural area. According to Minister of Agriculture and Rural Development Nguyen Xuan Cuong, in the past five years, the central budget for the programme was four times higher than in the previous period. Investment into remote and mountainous localities was also 4-5 times higher than the average level of the country. Alongside, many new activities were implemented during the period, including the one commune-one product (OCOP) programme; the movement of building model gardens in line with the new residential areas; and rural tourism development. Cuong said the ministry will sketch out a plan for the implementation programme in the next five and 10 years, with greater attention on quality. In the future, the ministry will develop 15,000 new-style cooperatives, while expanding the OCOP programme and rural tourism, and attracting more businesses to invest in these programmes. Cuong said that to narrow the gap in development among regions, along with offering more support policies to localities facing difficulties, the ministry will integrate the new-style rural area building programme with other programmes such as those to speed up poverty reduction, support border and islands localities and boost forest development.